Don’t tell me you don’t know Freepik. We have had them on our and therefore your radar quite frequently already. Just check out the articles under "Related Links" below this post. Throughout 2013 we were frequently able to bring you exclusive freebies. 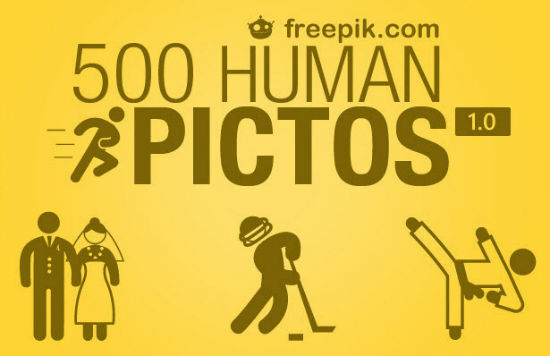 Today we want to introduce you to a set of 500 human icons. They come as separate PNGs, each 512 pixels squared. And they come as a layered PSD file as well as separate SVGs. 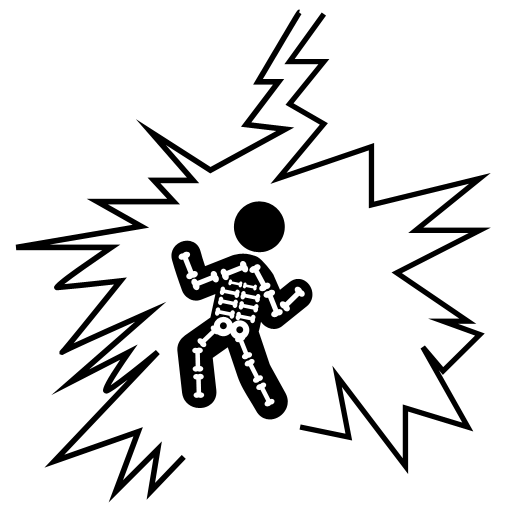 The PSD contains vectorized shapes, so you can easily grow or shrink the pictograms to whatever size you need. You could even merge shapes to get whole new symbols altogether. There is no lock or limit whatsoever, the PSD is completely unrestricted. The fact of having the raw file format at hand allows you limitless use cases and the license does not put an end to that. You are allowed to use the icons for private and commercial purposes alike. You are not allowed to redistribute the set from third-party websites. And you are not allowed to claim copyright or even imply you are the creator. But that should be simple rules of fair play and as such self-evident. Be aware that the ZIP weighs in at around 11 MB, so you’ll need a little patience, depending on your internet connection speed. Unzipping will reveal a folder structure dividing the formats PNG, PSD and SVG from each other.